Your paintball mask is the most important piece of equipment you’ll own as a paintballer (http://www.bzpaintball.co.uk/blog/the-first-piece-of-paintball-kit-you-should-buy/). With the ever rising prices of lenses it’s more important now than ever to take care of your mask. It should be one of your top priorities as a player to keep your mask clean and your vision clear. Often players will get hit in the mask whilst playing, clean off the paint when you’re not on the playing field. Leaving paint on your mask will deteriorate the lens over time and some paint can even stain. For the longevity of your mask ensure you get into the nooks and crannies where the lens meets the frame, if left this may weaken the lens. If you have a single lens always ensure you have cleaned the lens and applied a fresh coating of anti-fog spray. This is vital, if you forget you’ll soon be reminded when your mask mists up and your view is hazy, not ideal. Microfiber cloths are ideal for lenses, these will prevent smearing and distorting your vision. If you use paint spray etc with a regular cloth or your hand expect a smudged mess. A microfiber cloth will give you a seamless clean, just what you need. Thermal lenses are dual paned lenses which are sealed together via glue and foam, this assists with regulating the temperature thus reducing fogging. Never submerge your goggle under water, the foam barrier between the lenses is absorbent so if you get water between the lens panes your lens is useless. Ideally when cleaning your thermal lens you want to use water on a cloth to clean the outer lens and a microfiber cloth for the inner lens. Eventually your lens will need to be changed the recommended time is yearly if you’re a paintball regular. If your lens is scratched it’s probably time for a new one. Don’t use Windex or other glass cleaners when cleaning your paintball mask, these are not polycarbonate lens cleaners and will damage your lens. The idea is to prolong the life of your lens not shorten it. 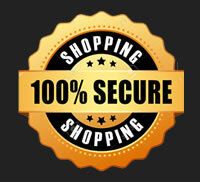 It’s always best to buy from an established brand such as Virtue or Empire etc, this way you know what quality to expect. Always purchase from a respected retailer such as ourselves, if you purchase from eBay who really knows what you’re getting, it could be some cheap knock off you’ve paid way over the odds for. We would suggest purchasing a lens case to ensure your lenses are protected. If you require any advice or assistance don’t hesitate to call us on 01642 605000. This entry was posted in Masks, Lenses on October 9, 2018 by admin. 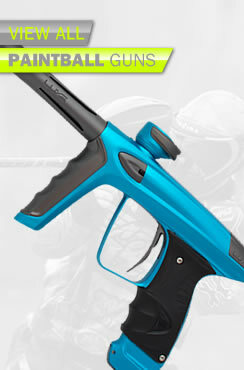 If your new to the game chances are you’ll assume your first purchase will be a paintball gun, I mean that’s pretty essential to playing paintball right? Well despite your first assumption, you should always purchase your paintball mask (this may also be referred to as a goggle) first. It’s THE most important piece of kit you as a paintball player can own, after all you can go out on a paintball field without a marker but not without a mask! Back in the early days of paintballing players used ski goggles, this is unsafe and all paintball masks must now pass ASTM approval. There’s such a vast variety of masks to choose from, with a range of lenses, coverage and fit, it can be a little overwhelming so hopefully this guide will help. Paintball goggles lenses are made of a poly-carbonate material for strength and to prevent shattering, these will generally be coated with an anti-glare and scratch resistant material. The lens fits securely within the goggle frame, protecting your eyes from paintball impact and spray. Lenses can come as single pane or dual pane (thermal lens). A single pane lens is a one piece lens that has an anti-fog coating added although easier to maintain and cheaper these are prone to fogging. Thermal lenses are dual pane lenses which are sealed together via glue and foam, this assists with regulating the temperature thus reducing fogging. Never submerge your goggle under water, the foam barrier between the lenses is absorbent so if you get water between the lens panes your lens is useless. Ideally when cleaning your thermal lens you want to use water on a cloth to clean the outer lens and a microfiber cloth for the inner lens. For further information on preventing your mask from fogging check out our “Prevent your mask from fogging” blog post. The frame of a paintball mask is what houses the lens. Goggles with either have a fixed lens or a quick lens release system. A quick release system is ideal for maintaining and cleaning your mask however this does tend to inflate the cost. Frame foam is important for protection, comfort and again the preventing of fog. It’s important the foam forms a seal that prevents your warm exhaled breath from fogging the mask. Low end masks tend to have more rigid foam where as high end goggles will have thicker dual layer foam. This dual layer foam is softer against your face and aids with absorbing sweat. The mask is what protects your face and the level of protection varies mask to mask so it’s best to consider your style and level of play. Beginner masks tend to offer full coverage along the forehead, jaw line and ear sections however this does come at the expense of added weight. These are often constructed from semi-rigid plastic that offer ultimate impact protection however are very inflexible. Tournament players try to reduce their target profile as much as possible. High end masks are more streamlined and sit closer to the face. For those with larger heads and wider faces this will often leave your forehead and the bottom of your chin exposed. These are made from softer pliable material making them more comfortable however still offer maximum impact protection. All paintball mask straps are elastic and will fit snugly to your head. High end masks will often have a toothed clamp to hold your adjustment in place, if your mask does not have beads or a toothed clamp you will have to re-adjust throughout the day. 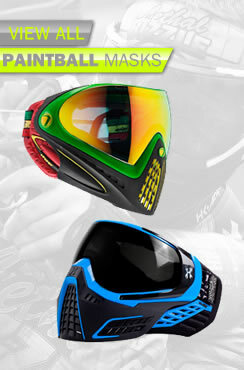 For glasses wearers check out our "The Best Paintball Masks For Glasses" blog post. 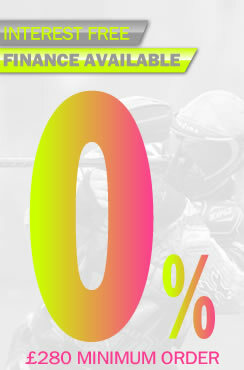 If you require any further assistance don’t hesitate to email us at info@bzpaintball.co.uk or call us on 01642605000. This entry was posted in Masks on October 9, 2018 by admin. For glasses wearers is can be difficult to find a paintball mask that’s comfortable and practical to wear. Today we’re going to explore some mask options for the glasses wearing paintball player that provide maximum comfort and optimum protection, we will also look at how to combat fogging. We always recommend that players try on various masks to ensure a comfortable fit with suitable protection, after all no two faces are the same. With glasses this is a little more complicated, ideally you will want to look for a paintball mask where the foam is cut on either side where your glasses arms will sit. This will allow some movement and will ease the pressure on your glasses arms. When trying on your mask ensure the strap of your mask is up at an angle as opposed to going straight across the back of your head, this will assist with the fit. There’s nothing more frustrating than a fogged up mask that can limit visibility, plus it’s dangerous too. Players may be tempted to remove their mask so they are able to see, exposing them to the danger of being hit. Now there are ways and means to help prevent this, you may want to consider installing a thermal anti-fog lens (check to ensure this will fit your mask) or buy a mask with a thermal lens. Another option is installing a fan to assist with the circulation of air. Some less effective solutions include coatings and anti-fog sprays, these should only be used after confirming they will not damage the integrity of the lens. Ensure ventilation holes on the google lens frames are not covered by scarves etc. You can also try and breathe down into the mask ensuring the air flows through the ventilation holes at the bottom. Another solution is wearing a headband, not only are these great for added protection but they soak up sweat and prevent moisture from entering the mask. This can be swapped to a hat in those colder months. 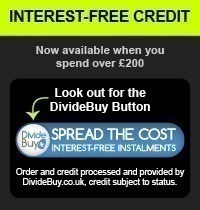 If you have any further questions don't hesitate to call us on 01642 605000. This entry was posted in Masks on April 4, 2017 by admin. A paintball mask is the most important piece of equipment you can own as a paintball player and should be the first bit of kit you invest in. The mask is designed to keep the players safe during games, they don’t just protect your eyes and face but forehead and ears too. This eliminates the chances of permanent damage such as blindness. Let’s face it some of them look pretty cool so its win win, protection and looking good. Some less effective solutions include coatings and anti-fog sprays, these should only be used after confirming they will not damage the integrity of the lens. Ensure ventilation holes on the google lens frames are not covered by scarves, head wraps (which we always recommend to prevent sweat entering the top of the mask) or hats. This will in turn aid with the air flowing through the mask preventing fog. Another option is to try and breathe down into the mask ensuring the air flows through the ventilation holes at the bottom. If you have any issues don’t hesitate to contact us on 01642 605000. This entry was posted in New Players, Masks on May 4, 2016 by admin.